THE HISTORIC LAND OVER 2600 YEARS. 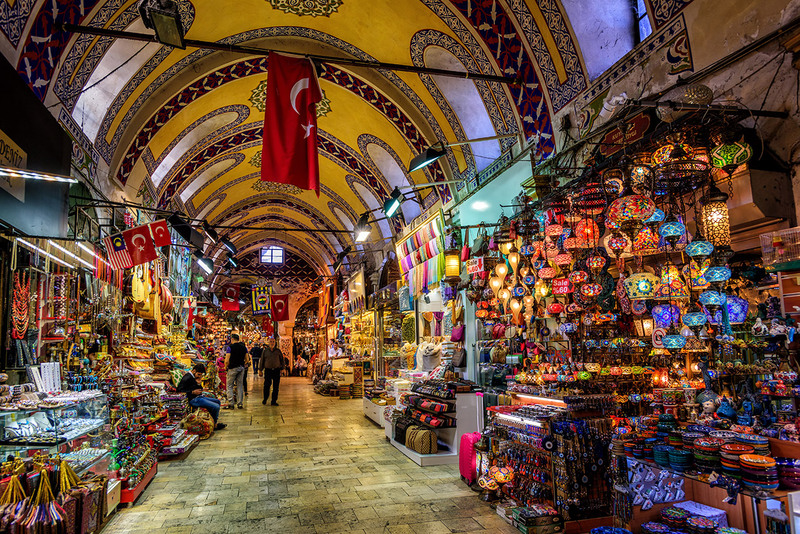 ORIGINAL NAME WAS CONSTANTINOPLE, ONE OF THE GREATEST EMPIRES IN THE WORLD HISTORY. ITS LOCATION IS ON BOSPHORUS STRAIT, SEPARATED BETWEEN ASIA AND EUROPE. 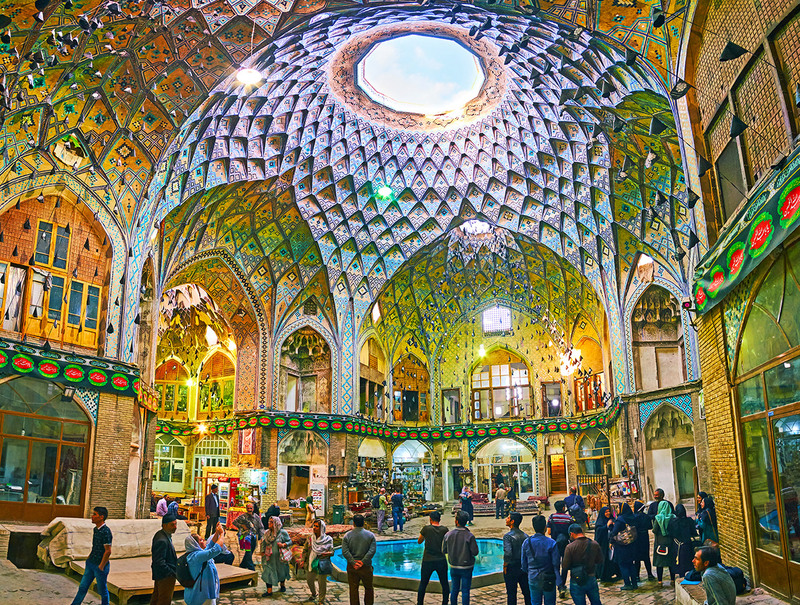 SEVERAL CULTURAL VARIETIES THAT REFER TO THE WAY OF LIFE AND THE SPECTACULAR ARCHITECTURE INFLUENCED FROM GREEK, ROMAN, OTTOMAN WITH FULLY CHARMING DIVERSITY OF THE TRADITIONAL BLEND CULTURES OF EAST AND WEST. 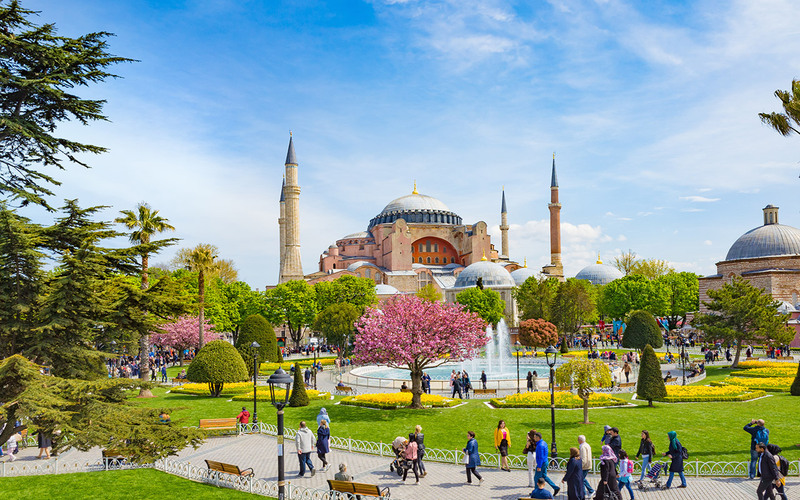 BEST SEASON TO VISIT ISTANBUL! Hagia Sophia is the large temple with the uniquely distinctive dome. 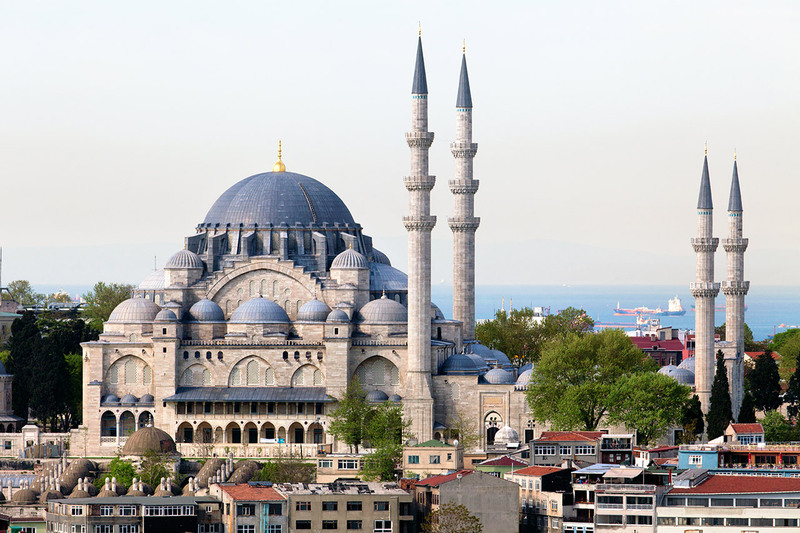 Created in the Byzantine architecture blended with Ottoman art that is mostly brilliant in Istanbul. 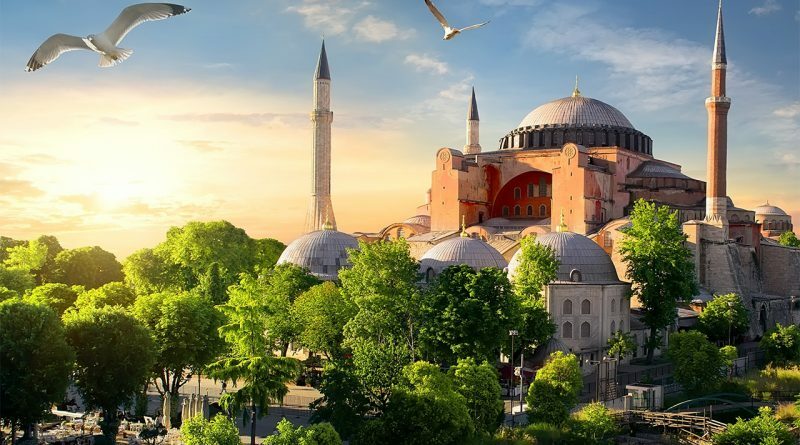 As a matter of facts, Hagia Sophia initially was used to be the Christian orthodox church and a mosque, therefore, it perfectly made Hagia Sophia extraordinary with the blend of the exquisiteness in the never-seen-before way. Currently, it is opened as the museum, display the collected rare ancient antiques. 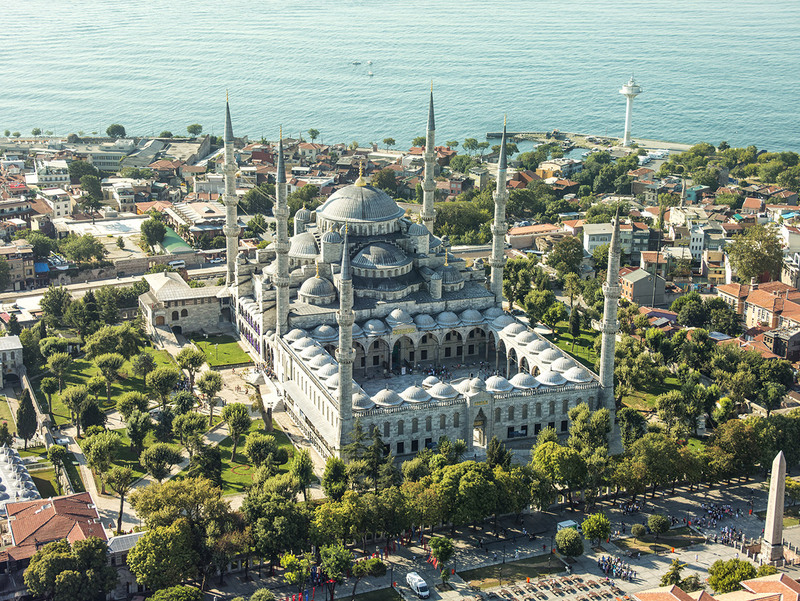 Blue mosque is constructed by the desire of the first Sultan Ahmed to build the eastern Ottoman edifice greater than Hagia Sophia, thereupon, the blue mosque is located opposite to Hargia Sophia to rival the grandeur of two edifices. 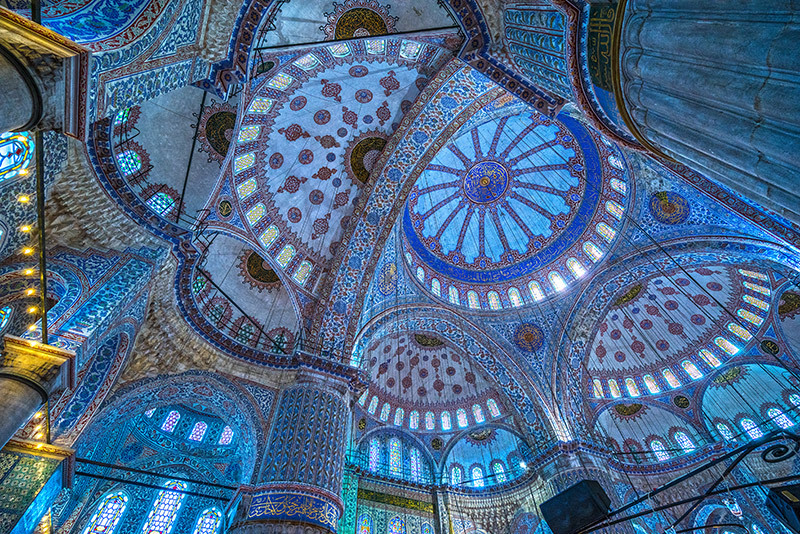 The uniqueness of blue mosque is embellished with blue tile interior, when the light comes into, it will appear a stunningly sparkling light which is so picturesque. There is also a patio called Sultanahmed Complex, the former monument with 3 podiums: Constantine Obelisk, Bronze Serpentine Column and the Roman octagonal fountain. At present, a mosque remains a ritual worship place, five-time Salat. While worshiping, it cannot be visited inside. Need to wear a modest cloth to get inside even if it’s not the worship time, no shorts and skirts and a woman must equip a headscarf. 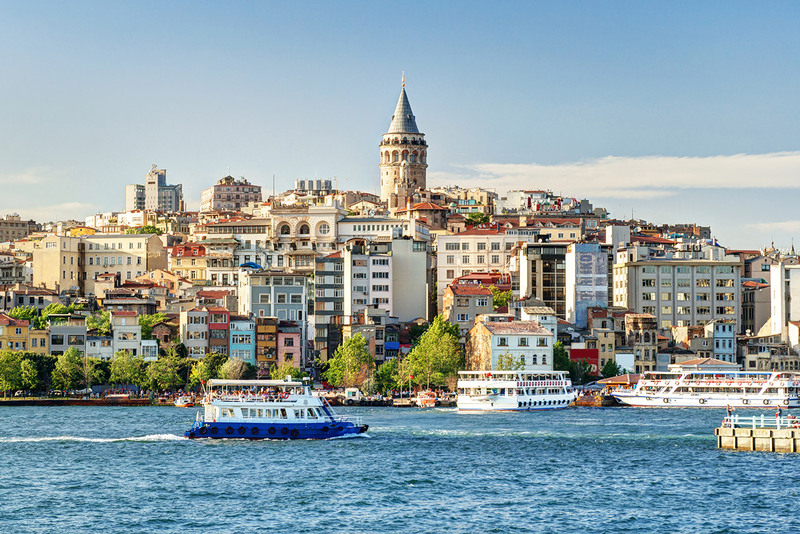 The Bosphorus is a strait that connects the Black Sea with the Sea Of Marmara, a total length of about 32 km. 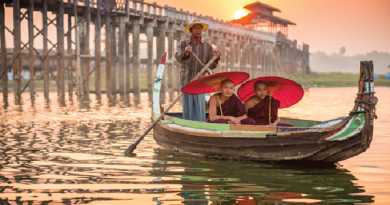 Asia and Europe The popular activity is the boat ride to see the beauty of the two sides. In the midst of the chill atmosphere, get the cool breeze that comes to face. While watching the amazing culture It is an activity that should not be missed. 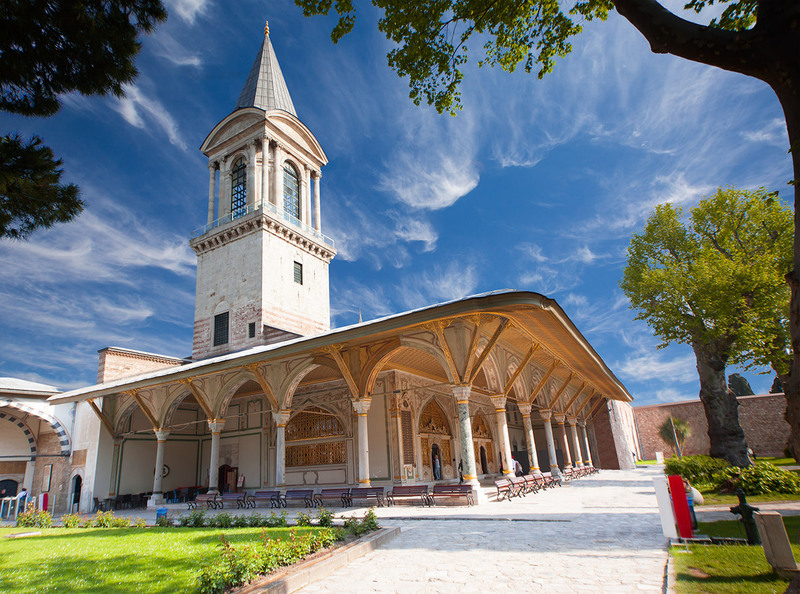 Topkapi palace was once used to be the residence of Sultan of the Ottoman empire during 1462-1853. 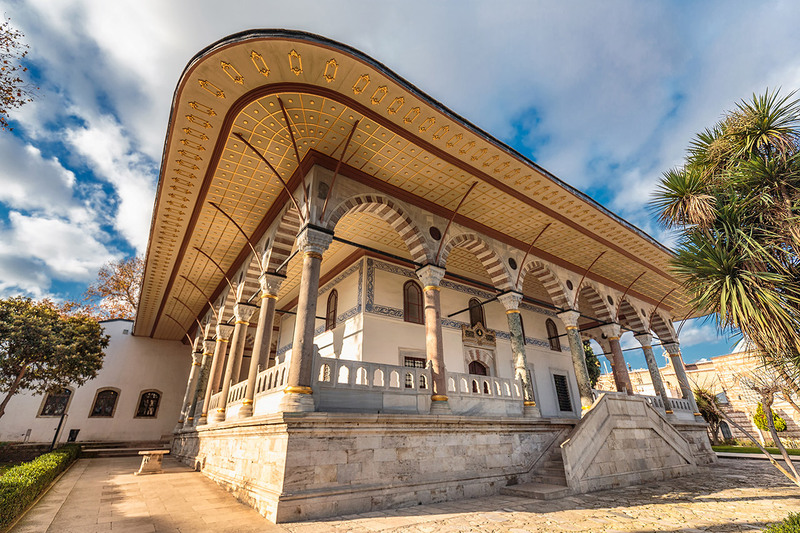 The palace has been designated as the best example of traditional art and the beautiful architecture of aristocracy in Ottoman empire, with the luxurious embellishment and the vast area, as well as it’s in the spot overlooking the stunning scene of Bosphorus strait. 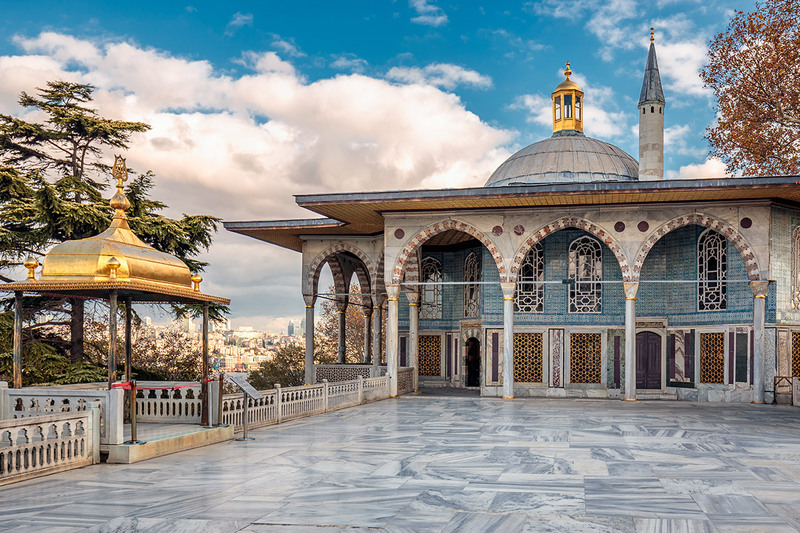 Topkapi is also the venue of Turkey government. Currently, it opens to be visited just only some parts of palace. Karakoy area is the busiest pedestrian street of Turkey. 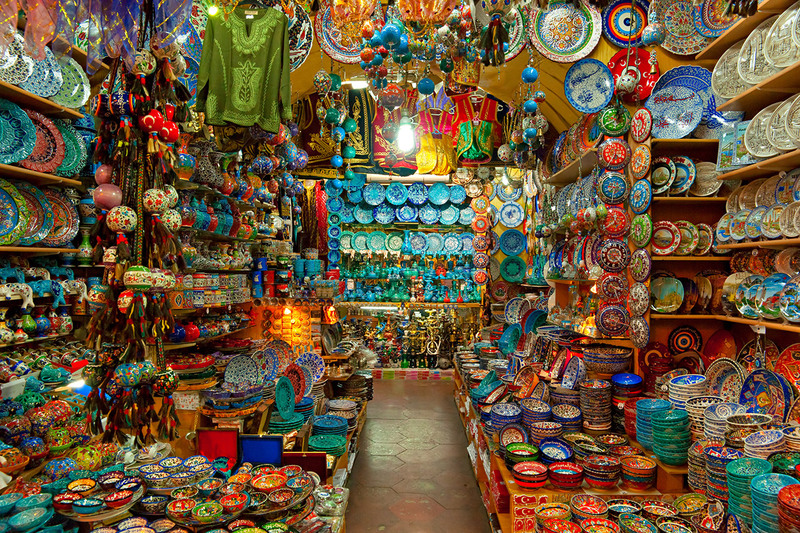 On Istiklal Street, a long route filled with the brand name shops and Turket’s fashion to the restaurants, chic cafes along with the both sides. Enjoy shopping and taking a photo in this street will make you completely forget the time! One the best 5-star hotel in the center of Istanbul. A perfect location. Situated not too far from the beautiful landmarks of town. Touch in the luxurious room which every room can be overlooked to the seaside landscape. Fully convenient facilities. Delicious food, relaxed spa and the pool. To create your new memorable romantic experience during your trip.